Meyerbeer - List of works. Best Classical Tunes. 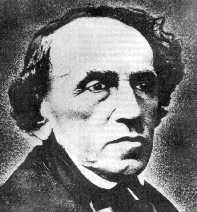 Giacomo Meyerbeer was a German-Jewish composer, who lived at various times in Italy, Berlin, and Paris. His earlier career was as a pianist, but then he turned to composition. He mainly composed operas, such as Robert le Diable, Le Proph�te, and Les Huguenots. The Coronation March from Le Proph�te is frequently heard, with its memorable themes. Works written by Meyerbeer Audio is available for 1 tunes by this composer.